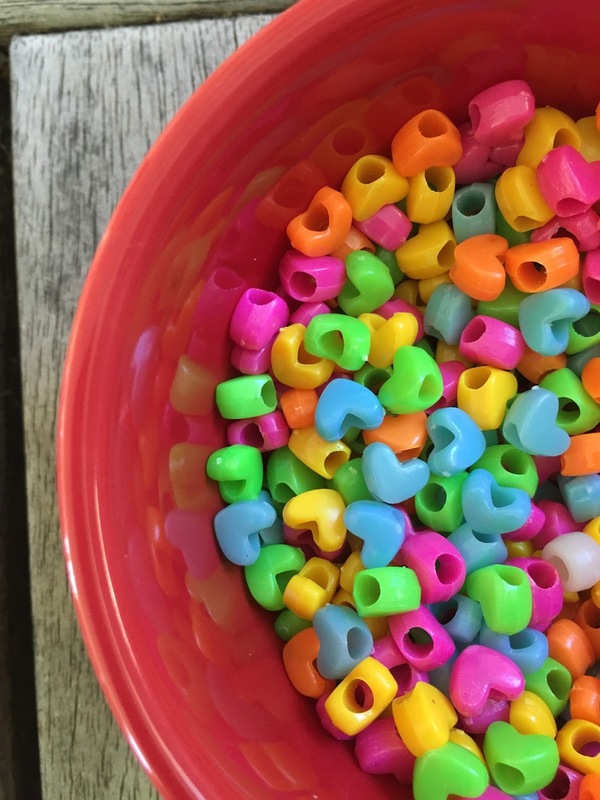 No matter what season it is, this cute pony bead bracelet craft is a fun craft for kids. Boys and girls alike can make bracelets to keep or give as gifts. 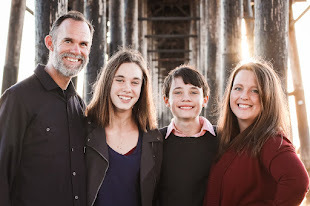 I was looking for a fun and creative way to spend some time with my daughter during Luke's chemotherapy treatments... But these would also make great rainy day crafts, girl scout crafts, slumber party craft, or Mother's Day craft. You'll need just a few items found at your local dollar store or at home. 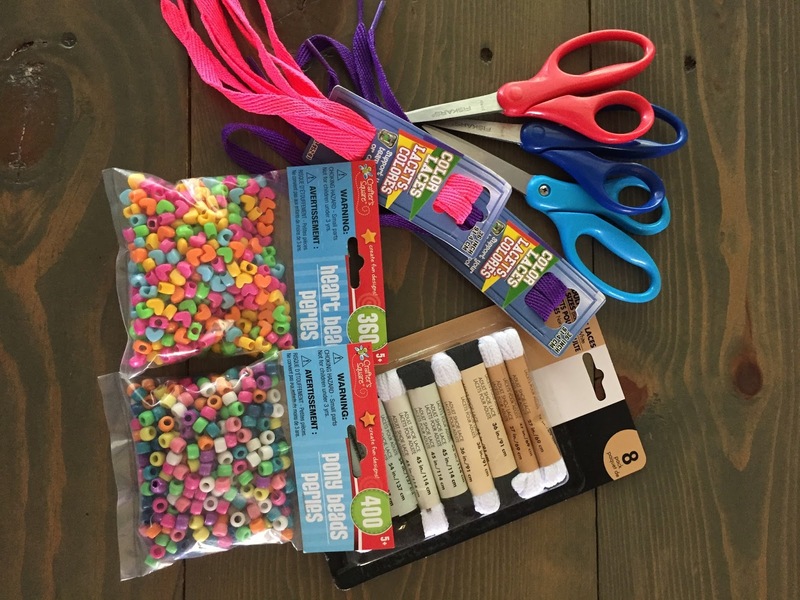 You'll need and assortment of shoelaces, packs of pony beads, and scissors. If you want to make a key chain - you'll need a metal key ring (We got ours from our junk drawer). 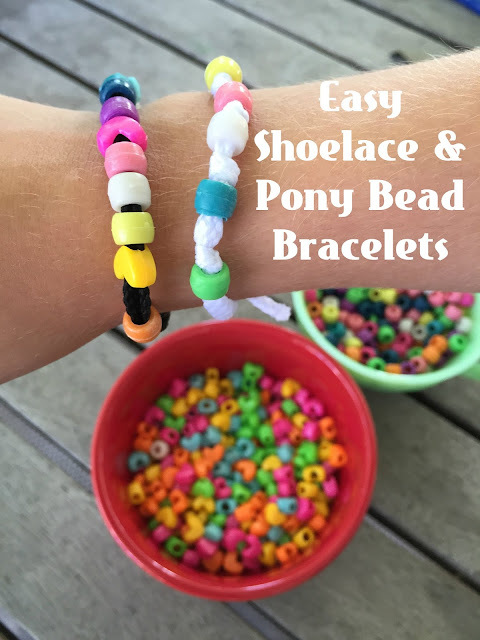 The end of the shoelace makes it easy to thread the pony beads. If you want, you can add a knot in-between beads to change it up. 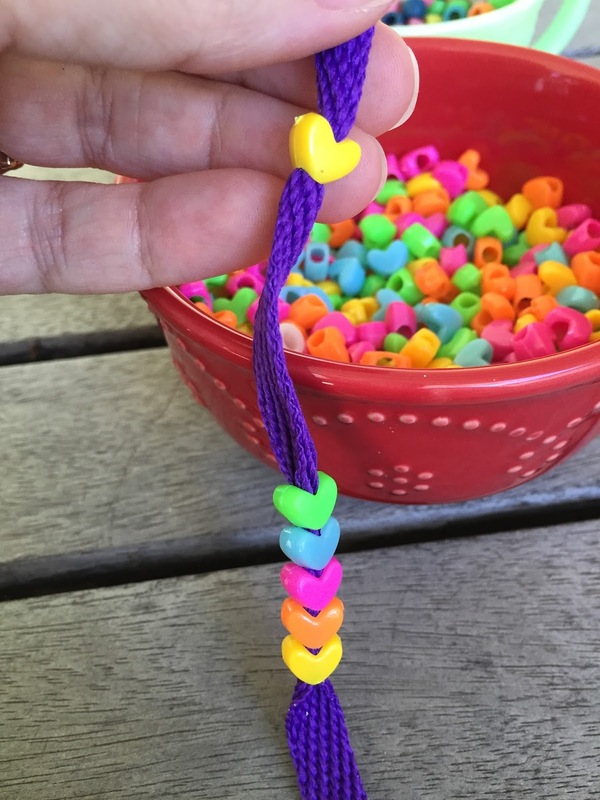 Shaped beads, like these hearts also make pony bead bracelets a fun craft. Once you have all the desired beads on your shoelace, wrap around your wrist to measure (leaving enough room to be able to get it off), tie ends in two knots and cut off excess. If you want to make a key chain, thread the desired amount of beads to the end of the lace and tie off one the end. 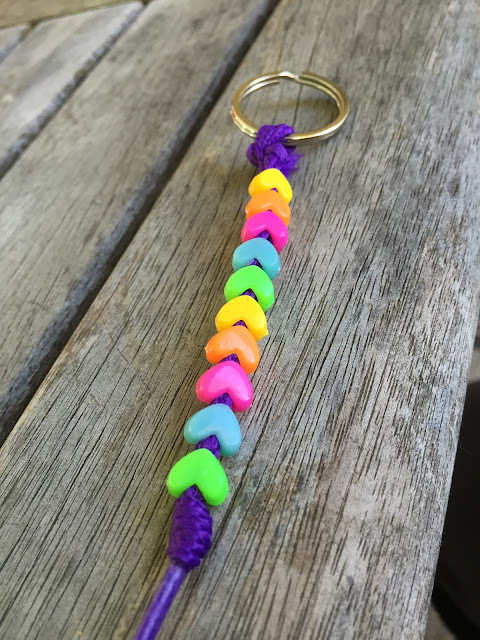 Thread a key ring through the opposite side, as pictured, and tie off in knots (twice). And there you have it! 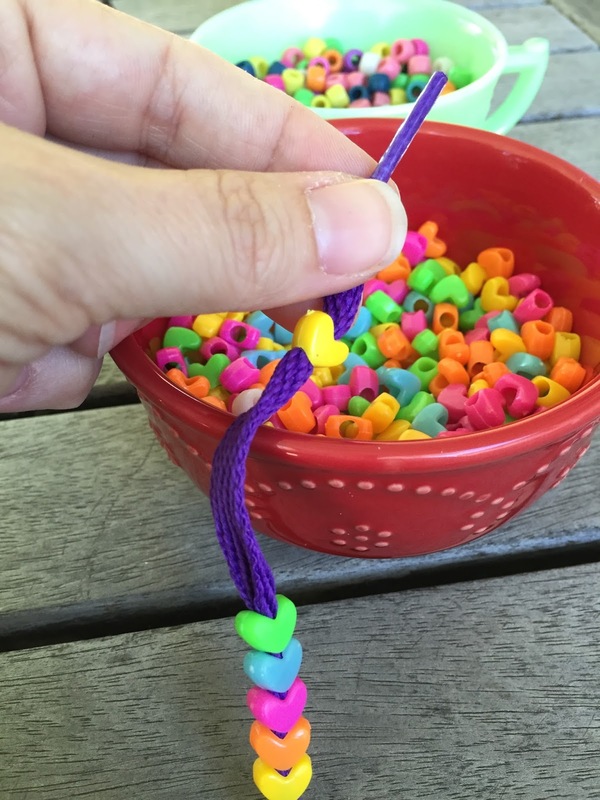 It was fun to sit on our back patio after together and create these Pony beads bracelets. 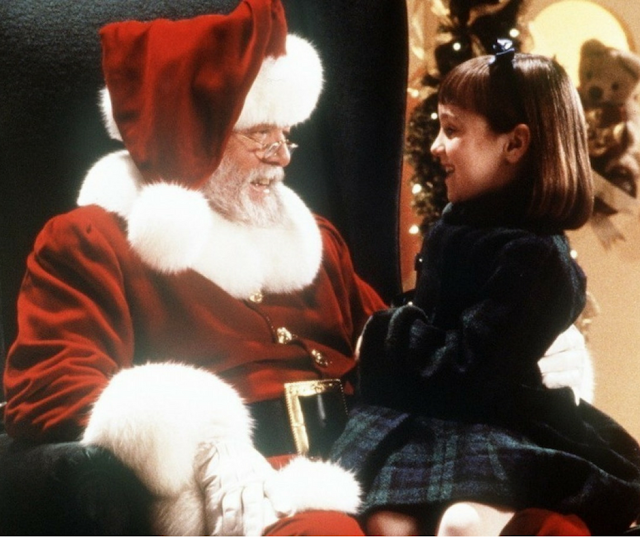 Please follow child warning instructions on packages and never leave little one alone with small beads or shoelaces, as they are both choking hazards.